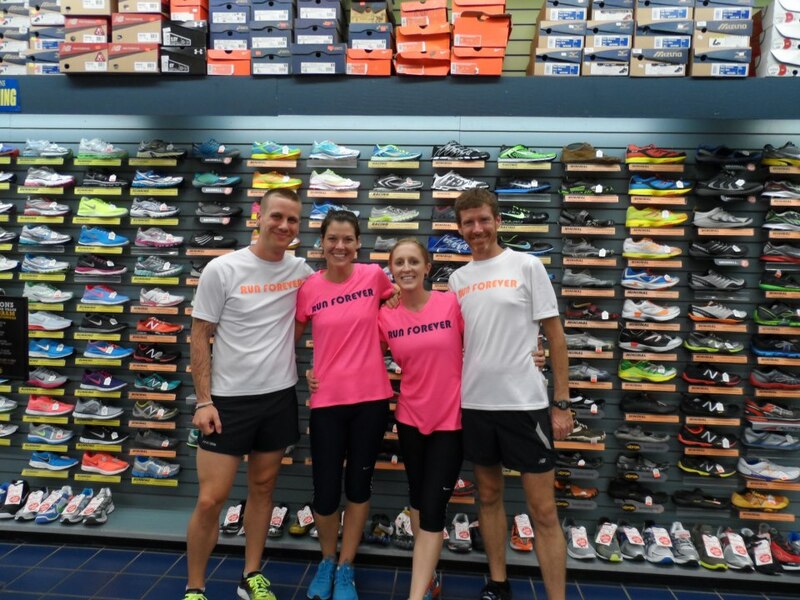 This quick post will give you a little information about some shoe styles available at Lloyd Clarke Sports, some ideas for track / tempo workouts and a little insight into my running life. I love these shoes. I’ve had 5 or 6 pairs of Kinvaras through the various model revisions and the feel has not changed. 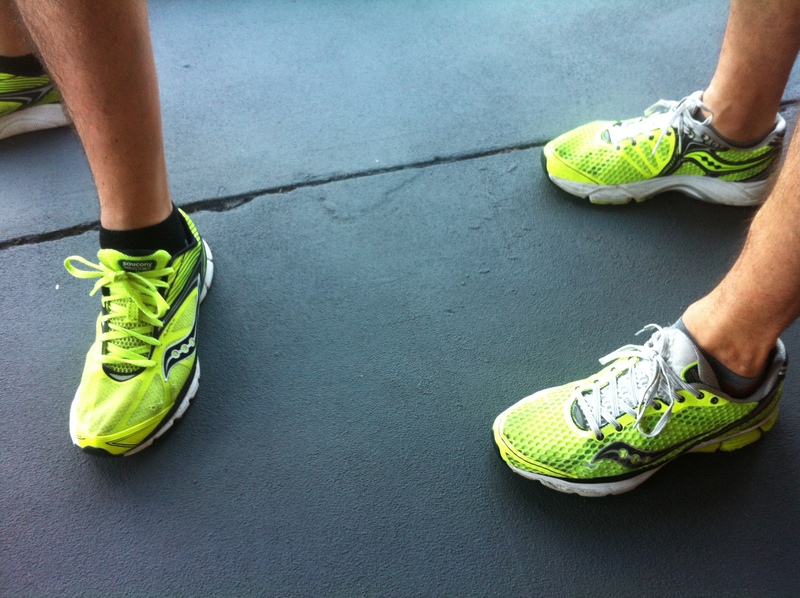 Kinvaras are light weight, neutral, with moderate cushioning and a nice fit. I use these as a daily training shoe but also for tempo runs. During marathon training a tempo runs alternate between steady state runs of 5- 8 miles at goal marathon pace or a bit faster or cut-down runs. The cut-down runs are usually 5 miles and start at 5 seconds per mile slower than marathon goal pace. So I might start at 6:15 the first mile. The I cut 5 seconds off each mile: 6:10, 6:05, 6:00, 5:55. I can put in long miles with these shoes and the cushioning is adequate. 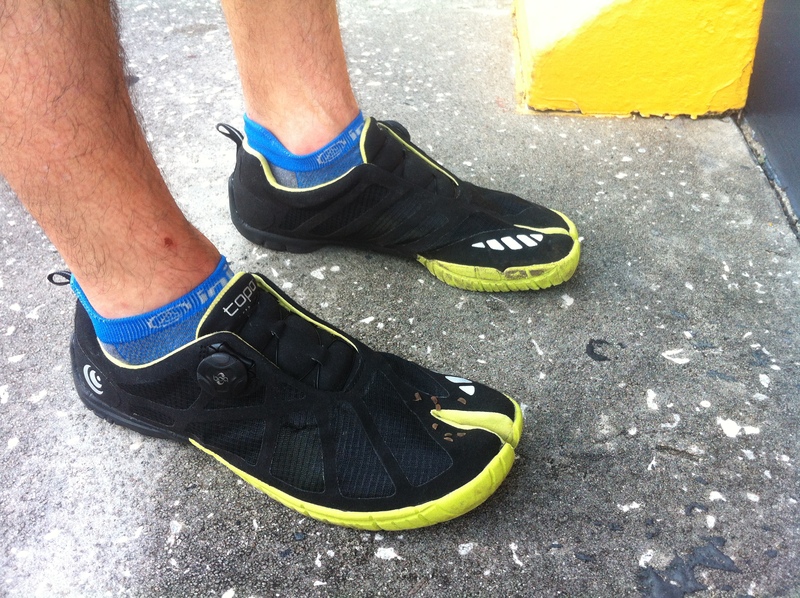 Kinvaras have also been my choice for marathon racing shoes. Typical racing flats simply don’t have enough cushioning for me to cover 26.2 miles on pavement and not get injured. Kinvaras have carried me under three hours in five marathons time with a Masters PR of 2:42:20 at Chicago. 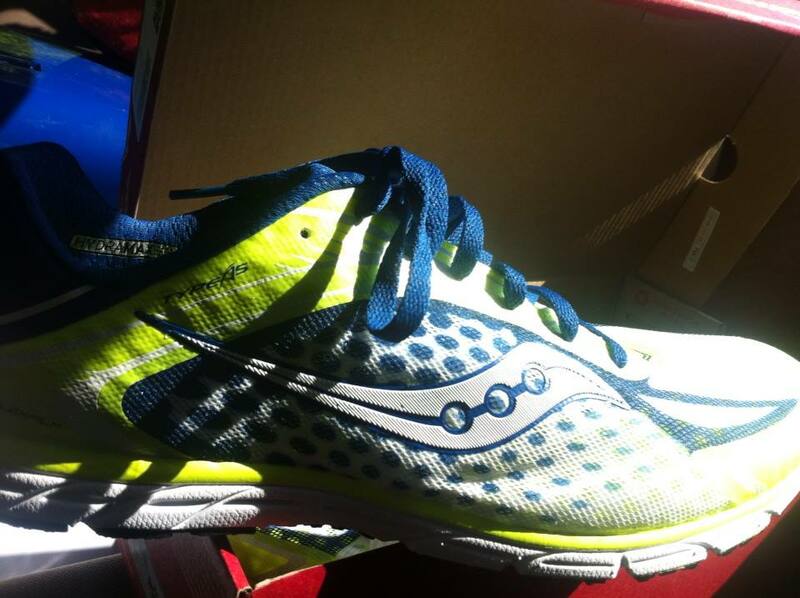 The Viratta is a new one in the lineup for Saucony that is very similar to the Kinvara. 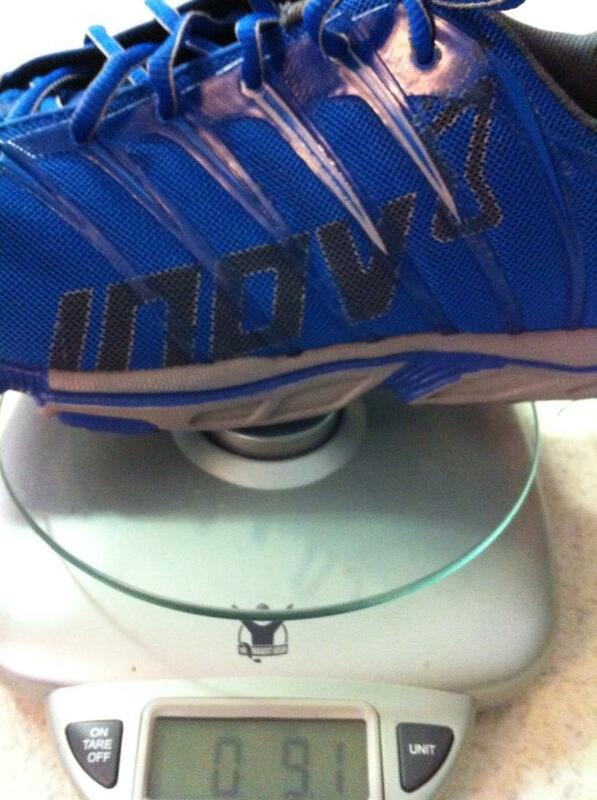 It is a touch lighter (6.7 oz) and I found the cushioning similar to the Kinvara. 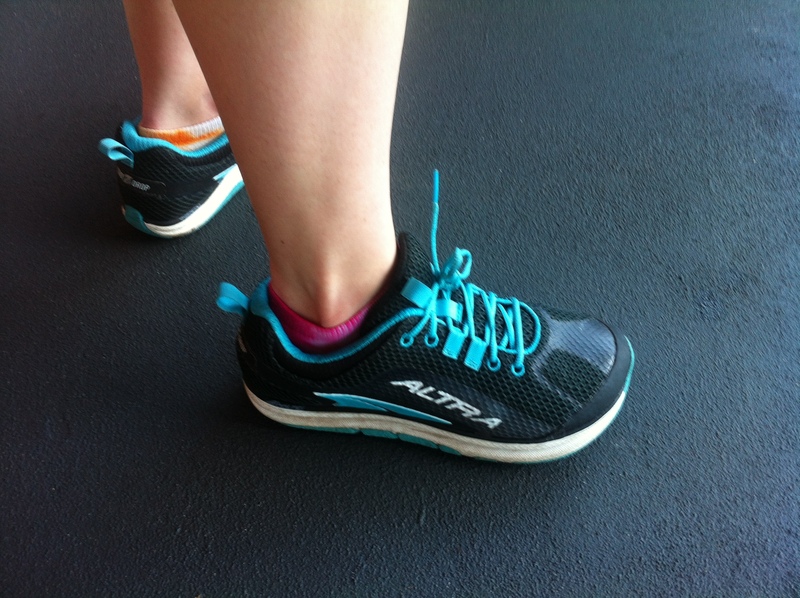 It is a neutral shoe like the Kinvara but is more flexible. It really lets your foot move naturally. I’ve only had one pair of these and I’ve probably logged 300 miles in them. I will consider a pair of Virattas for my next marathon because they are well cushioned and lightweight. If you want a light, fast shoe for 5Ks and 10Ks, this is a fantastic choice. I frequently use these for track sessions also. My A5s have done everything from 11 X 400 to 2 X 2 mile on the track. Whether burning fast 400s or settling into 10K goal pace; these feel great. I had the A4 version of this shoe as well and the A5 is quite similar with no major changes. Racing? Yes, these shoes can race! 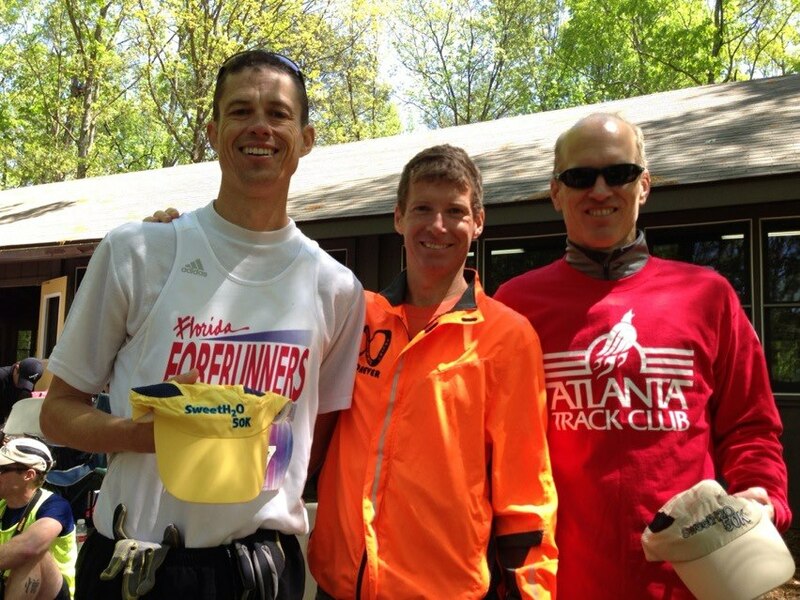 I dropped Masters PRs in the 10K with a 33:44, a 15K PR of 52:42 and Half Marathon PR of 1:16:24. The Half Marathon is a little bit long for these shoes and I felt pretty beat up after the race. So that’s the line for me! Over Half Marathon, I need more cushioning! 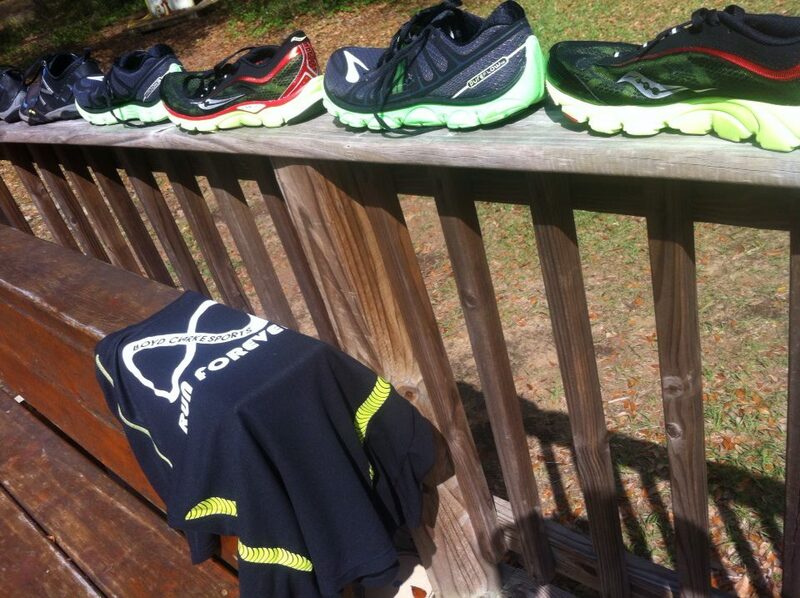 That’s it for the Saucony report. I also have reports to share on the Brooks Pure Flow, Inov8 Terrafly, and others but that will wait for another day.